It’s been quite a while since my last post, and now with Uni finished for the semester, I’ve only just begun to find some spare time. Spare time to not only write blog posts, but spend hours on Netflix, go for 10km walks (which my dog hates me for) and explore new cafes! 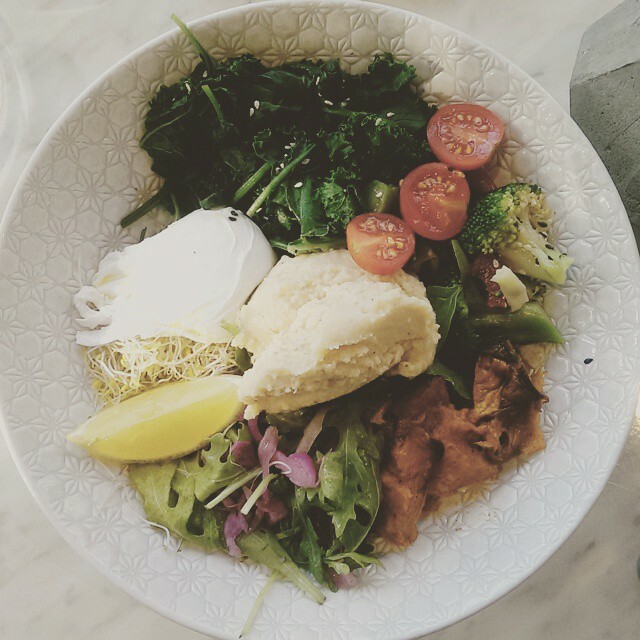 Last week, after many recommendations, I finally made it to Serotonin Eatery in Richmond. Serotonin ‘integrates both a nourishing eatery with an exercise center’ whilst focusing on eating a plant-based diet to ensure the body, mind and earth all function at their best. NOTE: plant-based diet means the cafe is 100% vegetarian. Don’t come here to cure a hangover with greasy bacon and don’t bring a boy if he’s crazy about protein or looking for dude food! The fit out of the cafe is really cute. Clean white walls with touches of yellow, gray and bold black finishes. It’s not a huge cafe, but spacey enough to sit larger groups of up to about 10 people. Some stand outs for me were the gold cutlery, science beaker water jugs and the friendliness of staff. I did also see swings (yes, swings) both inside and out in the courtyard, and I hope that when I go back I get to sit in them!!! But what about the food!? 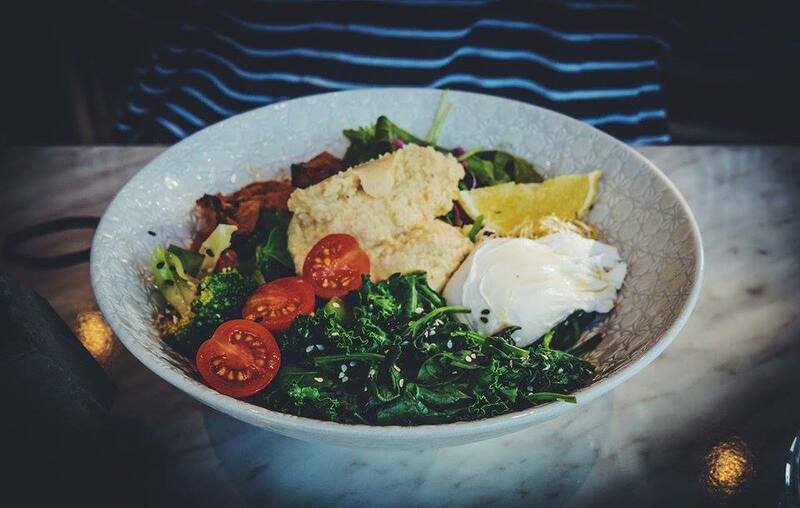 The menu is very health focused – think wholegrain rye bread, quinoa and alkalizing greens. 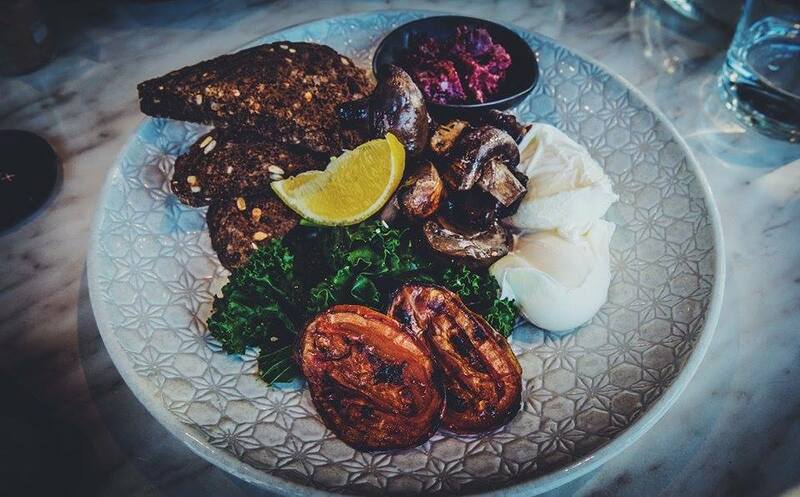 It’s got your usual suspects like the big breaky, porridge, acai and smashed avo, as well as some newcomers such as the nutrition bomb or zucchini linguine. Drinks wise, you’ve got juices, smoothies, coconuts, a range of teas and an impressive list of lattes (golden latte/cacao coconut latte etc..). I’d like to go back and try the coffee (5 Senses) and the raw deserts from the front window. Some of the dishes seemed a little bit too pricey – but that could be due to the the kitchen using organic or higher quality ingredients. The food was tasty and the vibe was great, so I’ve really got nothing to complain about!